Grade 12 graduates come away prepared academically and mentally for life after high school. Athletics, clubs, a vibrant student life, interaction with students from around the world, a community of learning and support – that’s the Stanstead College experience. Explore your options prior to university. Benefit from comprehensive university guidance. Gain direct access to top universities in Canada and the United States. Participate in elite, rigorous athletic programs. Discover who you can be. A new angle on university prep, Stanstead College's exclusive Grade 12 residence will offer Stanstead College students a sense of what university dorm life is like. With separate wings for boys and girls, the co-ed residence will offer structured, supervised living while providing certain freedoms befitting their senior status. Opening fall 2019. See here for more details. 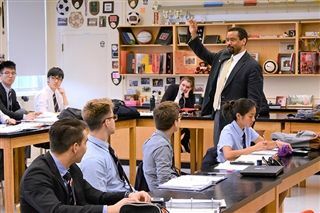 Advanced Placement courses in Grade 12 offer academic enrichment, the development of study and test-taking skills, and, in many cases, first-year credits at college and university. AP allows students to choose enrichment in their stronger subjects and the development of study and test-taking skills. 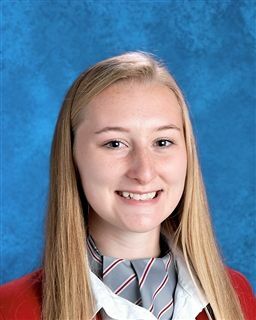 In addition, the external testing offered by the AP program is valuable in the university admission process because, unlike school marks, exam scores are comparable regardless of where the exam was administered. The AP curriculum truly completes our school program and complements the Stanstead mission. Stanstead College also offers the possibility of independent online courses. "I came for Grade 12 to open myself up to new ideas and possiblities. I figured out a lot about what I want to do in the future, plus I worked on my short term goals while I was there. I also wanted to get as involved as possible."